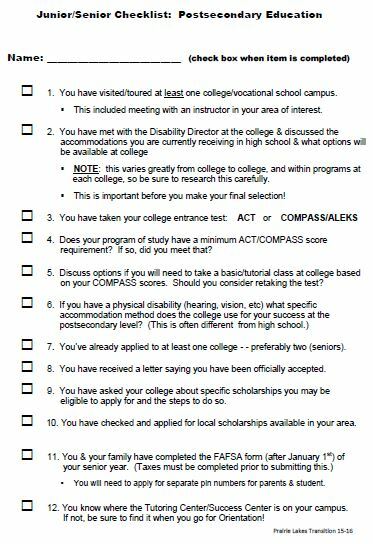 The Junior-Senior Checklist – for Postsecondary has recently been updated to better reflect a “to do” list for students before they head off for additional training after graduating from high school. If you have copies of the original sheet, please recycle those and use this revised version. The major change is due to the shift in Iowa Vocational Rehabilitation Services. Your high school counselor is also an excellent resource for other postsecondary considerations.